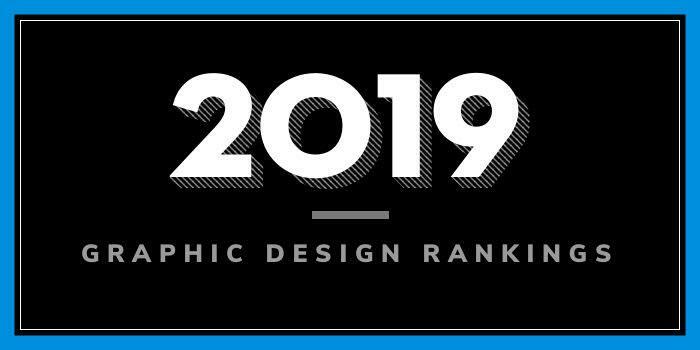 Our 2019 rankings of the top 5 graphic design school programs in Wisconsin. For an explanation of the ranking criteria, click here. Milwaukee Institute of Art and Design (MIAD) was founded in 1974 and it is Wisconsin’s only four-year, private college of visual art and design. The school, which serves 630 students, 600 pre-college students, and 250 outreach/special programs students, offers five degree programs and more than a dozen minors. Among the degree programs is a BFA in Communication Design that prepares students to work in marketing communication firms and major corporations. Per the school, Communication Design coursework “will begin with the study of two-dimensional design and end in the creation of a professional portfolio.” Students will study Digital Design, Art and Photography Direction, Typography, Advertising, Package Design, and Design for Electronic and Interactive Media. Graduates have gone on to land positions such as Advertising Designer, Art Director, Graphic Designer, Package Designer, Storyboard Illustrator, and Web Designers. In addition, many graduates of the program head their own successful design firms and advertising agencies. The University of Wisconsin – Stout (UW-Stout or Stout) was established in 1891. The school serves 9,400 students enrolled in 50 undergraduate and 22 graduate degrees through three colleges and six schools. The College of Arts, Communication, Humanities and Social Sciences (CACHSS) houses the School of Art & Design, which offers a BFA in Graphic Design and Interactive Media. The 120 credit hour program has two Concentrations: Communication Design and Interaction Design. Per the school, the Communication Design Concentration is an “exploration of graphic design including advertising, publication, packaging, motion graphics and more.” Interaction Design is the “study of design for interactivity across web, mobile app, and emerging screen-based media.” Program highlights include hands-on learning experiences, faculty who are practicing designers with diverse experiences and high standards, and a progressive curriculum that prepares students for a career as a designer in the graphic design and interactive media industry. Graduates of the program also enjoy a high employment rate with job titles such as Advertising/Marketing Designer, Brand Strategist, Communications Strategist, Graphic Designer, Logo and Identity Systems Designer, Motion Graphics Designer, and Packaging Designer, to name a few. Graduates have landed positons at Draft FCB, Hatch Design, Mason Companies, National Public Radio, Studio 150, Target Corporation, Volume One, and many others. Founded in 1848, University of Wisconsin – Madison (UW Madison) serves approximately 44,411 students enrolled in 200-plus undergraduate majors and certificates and 250-plus master’s, doctoral, and professional programs through 13 colleges and schools. The School of Education houses the Art Department, which offers a BFA in Graphic Design that offers a Focus in Book Structures and Artists’ Books. Practical study in the area involves the “design and production of books, broadsides, brochures, and posters; the development and application of logotypes and design formats; and utilizing the facilities of letterpress, computer technologies, and graphic reproduction techniques.” Course highlights include Cultural Context of Graphic Design and Typography, Graphic Design for Branding and Identity Graphic Design for Packaging, Posters, Publications and Interactive Media, Information Graphics, Motion Typography, and Typeface Design. Students will also complete Design Portfolio and Professional Practice as well as Senior Graphic Design Thesis and Exhibition. The University of Wisconsin - Eau Claire (UW-Eau Claire) opened its doors in the fall of 1916 as the Eau Claire State Normal School. The school serves more than 10,000 students enrolled in more than 80 undergraduate programs and 14 graduate programs through four colleges including the The College of Arts + Sciences, Business, Education + Human Sciences, and Nursing + Health Sciences. The College of Arts + Sciences houses the Department of Art + Design, which offers a BFA in Art with a Graphic Design Emphasis. Students in the program will first complete any university and college degree requirements before entering the Emphasis. This typically happens after the second year of study. The Department requires 75 semester credits including courses such as Foundations: Color and Composition, Advanced Graphic Communications, Visual Communication Design, Printmaking, Illustration Narratives, Digital Design: Multimedia Development, Artist Books: Image & Text, and Video for Art and Design. To complete the BFA program, students must participate in a Senior Exhibition hosted in the University's Foster Gallery. Founded in 1868, University of Wisconsin – Whitewater (UW-Whitewater) is one of the oldest institutions in the University of Wisconsin system. The school currently enrolls more than 12,000 students in 47 undergraduate majors and 13 graduate programs through five colleges and schools. The College of Art and Communication houses the Department of Art, which offers both BA and BFA degrees in Art: Graphic Design. Per the school, both programs focus on the “development of strong skills in visual problem solving, an understanding of hierarchy, traditional and or digital production methods, the ability to effectively create original designs and to manipulate space, typography, imagery, and time based methods to communicate with an audience.” The difference between the programs is the BFA is a professional degree that offers additional skills and learning outcomes. Upon graduation, BA students will have the ability to solve communication problems and develop strong visual solutions. They will have a broad understanding of the role of design in business, industry, society, culture, and technology, and an understanding of industry tools and technology, and the skills to effectively use those tools. Graduates will have the ability to identify a target audience and to design within its parameters, and they will have working knowledge of industry practices. Graduates will also have the ability to apply knowledge, skills, and competencies gained to the development of professional portfolio materials, they will demonstrate increased competence in the studio discipline and a strengthened relationship between intention and execution, and they will have a demonstrated capacity for independent research. The graduate’s body of work will demonstrate informed, intentional visual communication and personal expression. Finally, BFA graduates will demonstrate “a greater engagement with professional organizations and activities resulting in increased familiarity with professional practices, contemporary issues, and technological developments” in their area of emphasis.